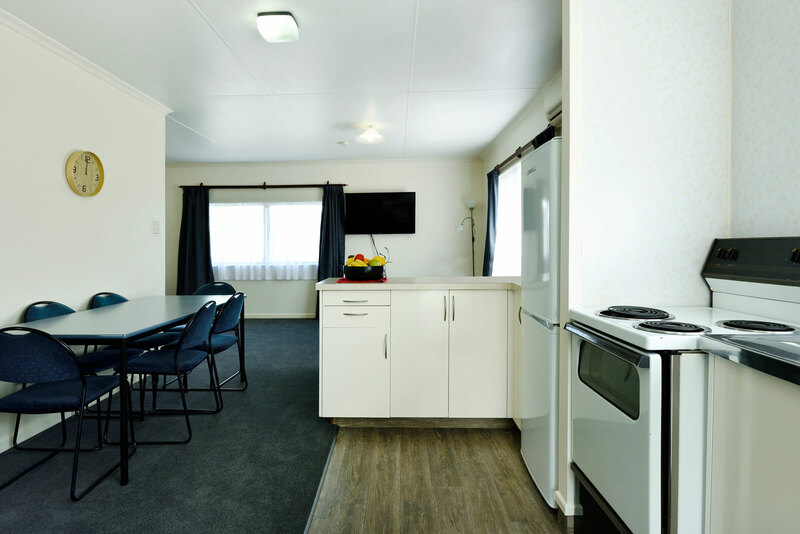 Sleeping up to seven it’s spacious and fully equipped. It’s the only one of our units that has a full oven. The Cottage is situated well for all day sun, at the back of the property, well away from the road so you can enjoy a quiet relaxing stay. 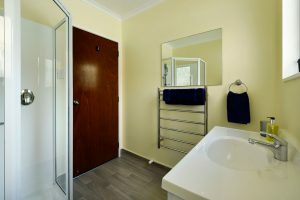 Bathroom is separate with a shower, vanity, and toilet. 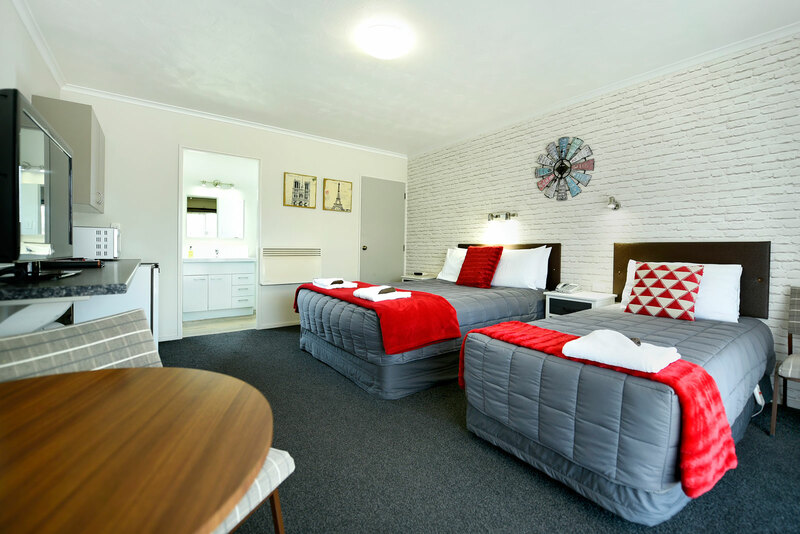 One bedroom has a queen bed and the other bedroom has 2 single beds. There are also another queen bed with a single trundler underneath if needed in the ‘L’ shaped lounge. 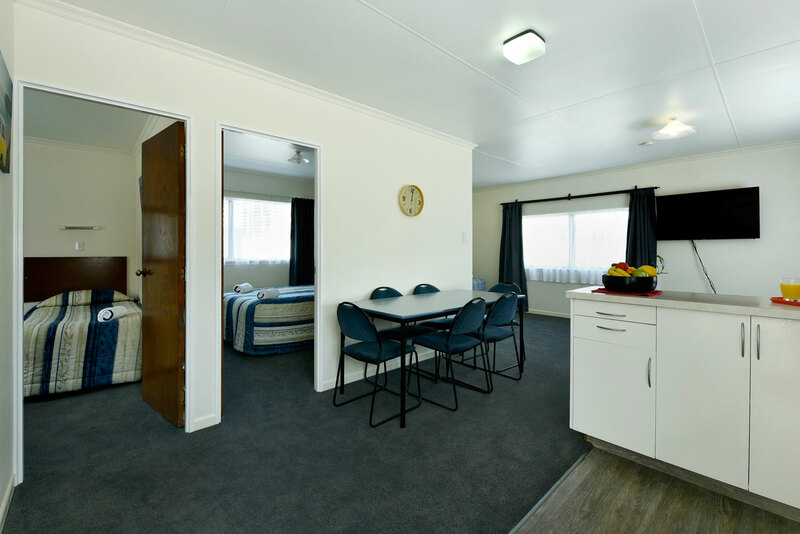 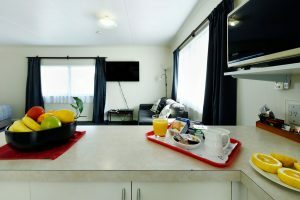 There is a two & three piece lounge suite, a table and six chairs, heat pump, a 48″ Full HD LED LCD TV, DVD player and of course a fully equipped kitchen with free standing stove.